This is the first in a series of 10 articles that will look into some of the most commonly asked questions by parents. I hope that the interview with our two educators – Mr Nicholas Ee and Mr Ng Yeo Heng, would give you more insights as to how you can help your child. 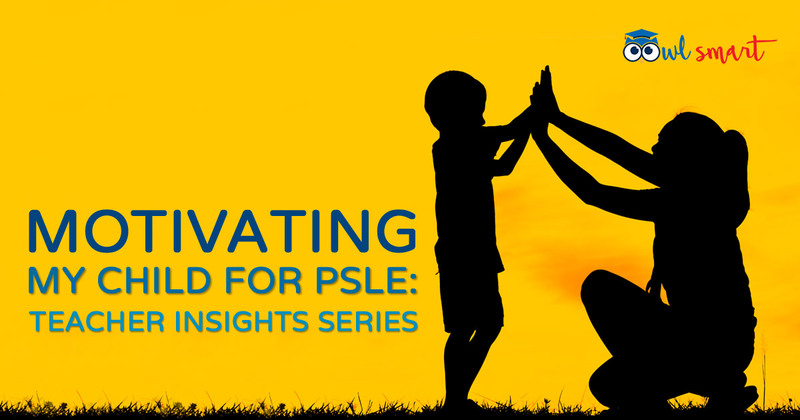 What can I do as a parent to motivate my child to prepare for PSLE? Rewards such as gifts or privileges; e.g. “If you finish your 2 compositions today, you get an extra hour on the computer” invariably materializes in the minds of many parents with children in their PSLE year. This is definitely a great starting point. However, I feel that this should not be the main approach in a child’s PSLE year. As an educator and parent, I am cautious not to motivate my children with extrinsic rewards. It would be a worrisome trend if your child asks for the nature of his or her reward before they embark on any academic endeavours. Hence, to me, one difficult mindset is not really to motivate them but to assist them in finding out what really drives them. To make it clearer, this driving force should, ideally, be intrinsic in nature. For example, a child looks forward to conducting experiments to prove if something is true. Hence, I encourage parents to really start looking out for their children’s driving force as early as Primary 1 or 2. To rely solely on extrinsic rewards in a child’s PSLE year would likely lead to what I call “inconsistent motivation”. First of all, I understand that there are many dual-income families in Singapore. Many parents are busy, already very tired after a day of work or do not have much time coaching their children in studies. As a result, I think most of the coaching is usually done by tutors or staff in enrichment centres. As an educator and a parent myself, I know of many parents who try to extrinsically motivate their children by promising to take them on a holiday trip after exam or buy stuff that their children long for. There is nothing wrong in doing so. In fact, I myself do this too. However, it is even better if we can motivate our children intrinsically to prepare for exam on their own. For the start, it would be good to provide a “structure” for our children to learn. For example, set aside some specific time on particular days for revision. Get the kid used to a routine first so that revision becomes a natural daily task. Sit down with the kid, discuss and agree on a manageable schedule for revision on a daily basis. On top of that, pitch the learning task at the right difficulty level first so that the kid is not put off by learning. Shower your child with genuine and specific praises when he/she makes small steps in progress. If it is really tough to get the child motivated intrinsically, parent can agree on an “extrinsic” tangible reward with the child if a certain “milestone” is achieved. Then slowly increase the intensity level of revision. For more details on how to intrinsically motivate your kid, you might want to read the following article Joy of Learning: Fostering Self-Motivation in Your Child. If you can intrinsically motivate your child to learn and revise on his own, it is already half the battle won in the preparation for PSLE. Not only that, your child will become a life-long learner which will benefit him in whatever he undertakes in the future. Do look out for the other 9 articles in the Teacher Insights Series for more commonly asked questions by parents.